TAXES ARE ABOUT TO GO UP FOR HUNDREDS OF THOUSANDS OF KANSAS HOMEOWNERS. Why? Because when Congress reformed Federal taxes in 2017, they inadvertently changed state taxes in Kansas, too — and the Kansas Legislature needs to fix it. Congress doubled the standard deduction for Federal Income Taxes. 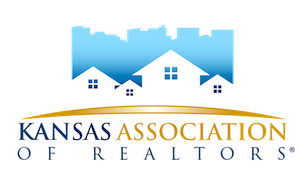 But Kansas requires taxpayers who take the federal standard deduction to also take the state standard deduction. That means that anyone who takes the new, larger federal standard deduction can’t claim charitable, medical, mortgage interest or property tax deductions on their state income taxes. For homeowners, that can mean paying more state income taxes. It’s time for REALTORS to take a stand. Kansas should restore the ability of Kansas income tax filers to take advantage of Kansas itemized deductions regardless of whether they itemize or take the standard deduction on their federal filing. Contact your legislators today! Tell them they need to remove the federal itemization requirement and prevent this hidden income tax increase.